Put the sweet potatoes into a big pot, cover with water and cook over low heat. The cooking process will take about 6-8 minutes once the water begins to boil. To know if the sweet potatoes are ready, poke them with a fork. If it you can easily pierce the sweet potatoes, then they’re ready. 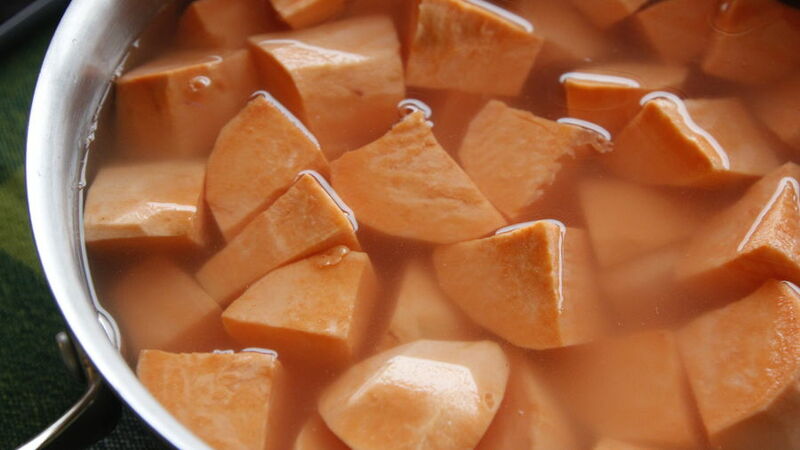 While the sweet potatoes cook, put the butter and sugar in a small pot over medium heat. 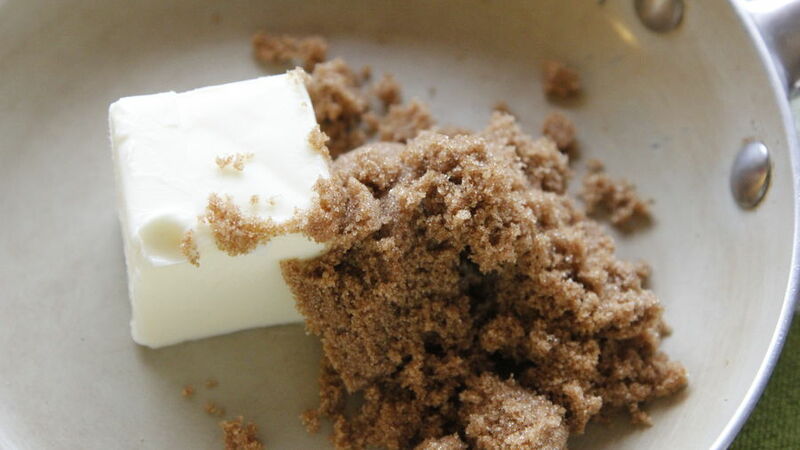 Stir until the butter is melted and the sugar has dissolved. 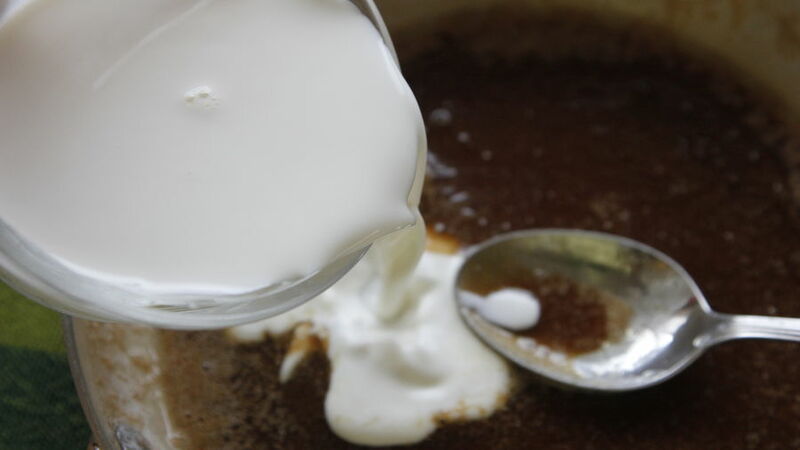 Empty the milk over sugar and butter, and stir until you get a smooth sauce. Add the rum, stir, turn off the heat and leave aside. 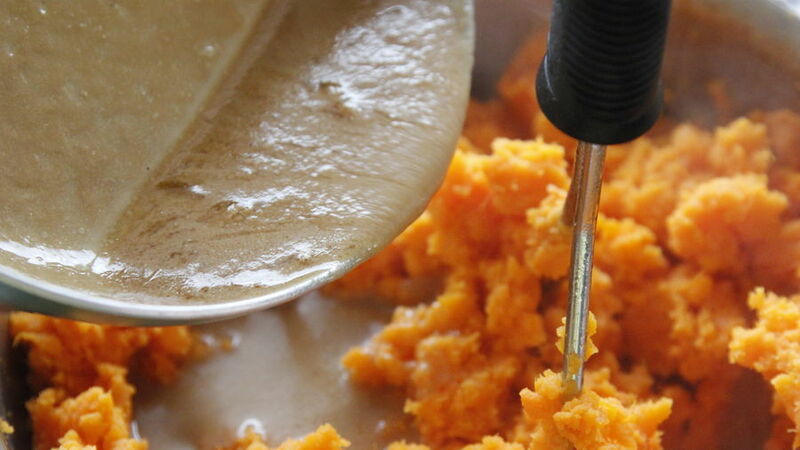 Drain the water from the cooked sweet potatoes and use a bean masher to make a puree. Add the rum sauce and continue mashing until you get a smooth mix. Pour the puree into a greased baking dish. Sprinkle some brown sugar on top if you like. If you want it creamier, use whipping cream instead of milk. 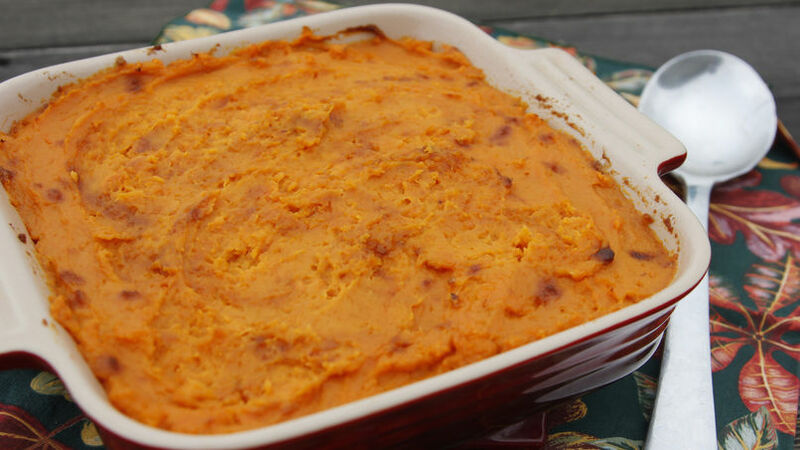 You can cook the sweet potatoes beforehand (1 to 2 days tops) and store it in an oven-proof container in the fridge.